Video is fast becoming an exceptionally powerful tool for promoting your company or website but they can also be used to enhance an SEO campaign if used correctly. Google likes videos because people like videos and this makes them a strong tool for augmenting your local search rankings. It is important to consider your subject matter and how it is presented as your video must be compelling and interesting in order to get viewers to finish watching, and hopefully share. Instead of simply creating a dry video introducing your company and products or services, consider more useful content that will appeal to anyone interested in your industry, not just those looking to buy. A series of videos explaining various aspects of your industry or how-to guides that are easy to follow will always appeal to a larger audience and generate a more positive attitude towards your company. Always be sure to enter your businesses address information so that your video shows up as a relevant result in local searches. Google will use this information to determine geographic proximity with factors into relevancy and affects rankings. Text within your video can be read by Google’s algorithms so be sure to include your company name, address, and phone number as well as your URL near the end of each video. This information will be used by Google’s systems to create the text transcription of your video that their algorithms use to calculate rankings. The description field on each video on YouTube is quite generous so be sure to make the most of this space. Include not only a brief description of the video but also your business’ contact information, website, and location names. While links are automatically nofollowed, links included in the description do seem to pass on some local citation value. There is also probably enough room to include a short biography or other relevant or interesting information about your company. Include industry tags as well as location tags on each video to ensure Google knows what terms and areas you are targeting. Keyword tags continue to be the secret weapon of YouTube optimization so be sure to include a handful of relevant tags for each video. This will help YouTube suggest your video to the right people as well as helping viewers find your video when they search for related information. Similar to geotagging your video, associating it with the Google+ and Google Places listings for your company will help show Google what subjects your company is relevant too and what useful information your company may provide to potential customers and searchers alike. While you certainly want your videos to appear on your website, it is often beneficial to host the video on YouTube and then use the embed feature. Not only are most people familiar with the YouTube player and have a certain amount of comfort with it, the number of times your video is embedded is an indicator of popularity which can help to improve rankings. Also, YouTube makes it easy for others to embed your video on their website as well increasing the number of potential viewers greatly. Last but certainly not least; don’t forget to promote your video on your social media accounts particularly Twitter, Facebook, Tumblr, and Google+. Views add up to rankings and provide Google with popularity indicators. The more people who see your video the more likely they are to share it! 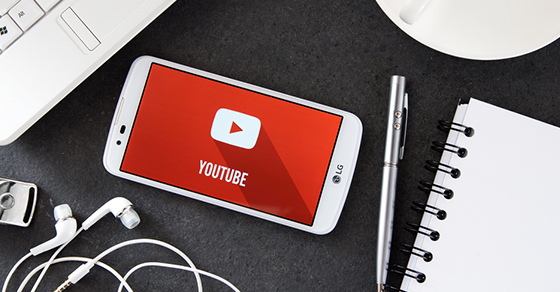 Don’t forget to optimize your YouTube channel for the best influence on your organic search results!